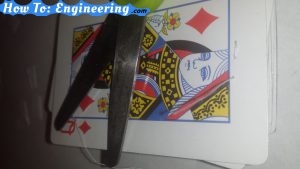 Make an Electric deck of cards, no batteries required. No batteries necessary! Just lots of patience. 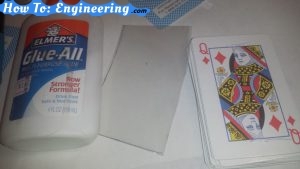 Trick your friends with this prank deck of cards. 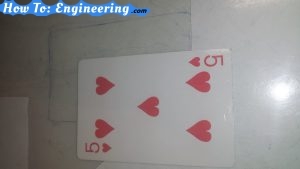 Tell them to grab a card and when they have hold on it let the deck go and see how surprised they look thinking the deck has fallen, but is still attached. This is a fun trick deck that is stuck (sown) together. Choose a deck of cards. One that has a nice pattern in the back and you wont be using anymore. 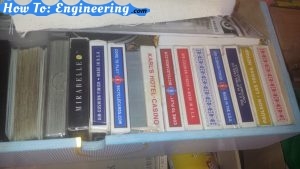 You can also find cheap decks at thrift stores or bargain stores. Almost forgot, double side tape. This is a whole sheet of double tape. Glue will also work. 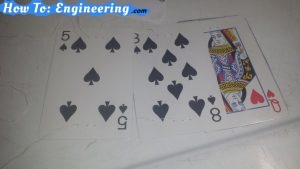 Grab one card and look at the back and look for 3 spots that have the same distance and can easily be made over and over. It does not need to be perfect but needs to have the same level from top and bottom. This will be the point for the next step. 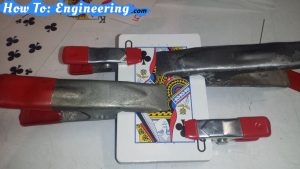 After finding the right place and marking them start using clamps, This will hold the cards together. 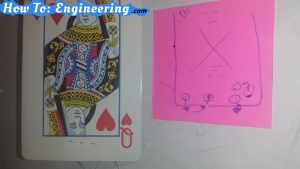 ***very important note: leave 2 cards untouched, put them aside. 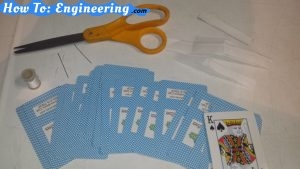 Now very carefully use one needle and start passing it through the cards. 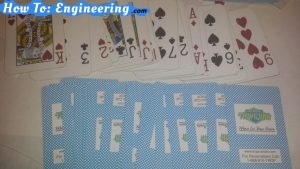 A better option sometimes is to follow the pattern in the back and make the whole to each card individually. As you see, all the needles broke trying to force them through the whole stack. Be careful not to poke yourself. once again go to the third hole. The sewing pattern is like stitching the card up. In and out and pass all the thread through leave a little bit on the edge as shown. Now on this step is if you have the double side sheet. If not just use a small piece of tape to hold the thread stands from un-sewing. 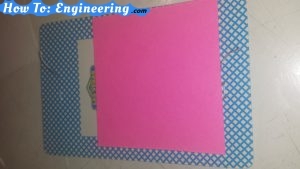 If you have the double side sheet of tape trace a card, and cut the tape to the size of the card. Take off the backing and place the sticky side to the back of the card with the thread strands. This will hold it in place and also leave it alone for now do not take the other backing off. Double side tape can work here too. 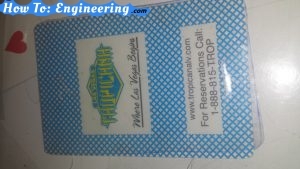 Just make sure to cover all the card and if it has another backing do not peel it off. Now that the first card has been secured continue the same pattern as with the first. In 1 out 2 in 3..the next card in 1 out 2 in 3.. This is a better view of the sewing pattern. It will be necessary to do both sides at the same time. 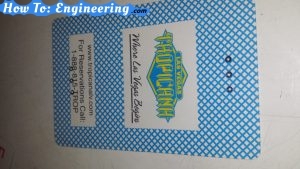 Turn the few sewn cards over and start placing the tape where you see the stitch. It gets hard to separate the cards and show you the whole thing. By using the red tape you can see where the tape needs to go. You can also view how it actually looks with the clear tape. This is a better view of where to place the tape. This is in order for the thread not to move out of place when playing with the cards. When your cards are completed square them up. If you see some not fitting in check the thread space and fix it. Take part of the tape of and just move the thread towards the place it needs it and put the tape back. 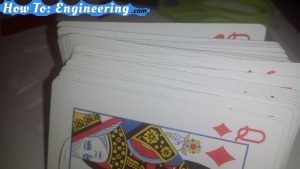 If its just that the cards do not want to square up just put them on the side on a flat surface and hit them gently. This will square them up. On the last card you sewed you will have thread left over just trim a bit off. 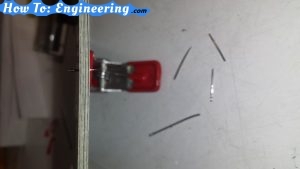 As you are trimming the threads make sure they not too long and also place them as the picture shows. 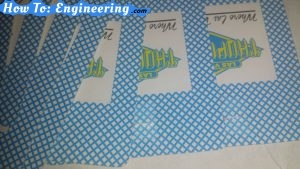 Either tape the thread or use the double side tape as you did before for the first card. Time for the glue if you did not have the double side tape. 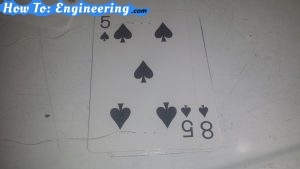 This is the same step from the first card if your are using the double side tape. 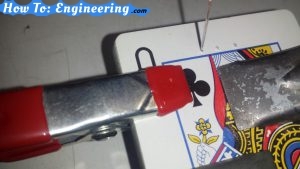 The following is for the glue: spread glue all over the card where the last and first strand of thread are at. For double side tape remove the backing of one side. 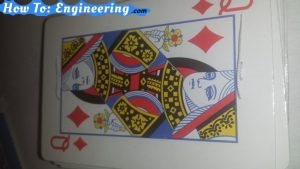 For both place one of the 2 cards you had on the side on its corresponding side. And now the other side glue or double side tape. 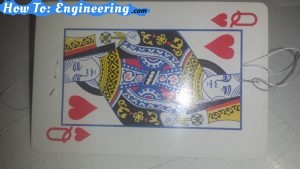 This cards will hide the actual threads and it also makes people wonder how it was made. 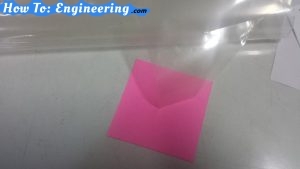 **I prefer double side tape because it does not affect the quality of the card. Glue wets it and might distort it. This is how it will look and if you turn it you can hardly see the tape. 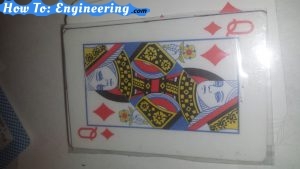 This is a fun set of trick cards that do not do much but are fun to play with and trick people. 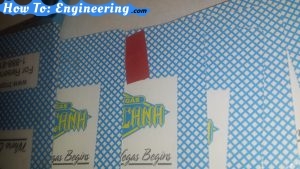 Previous Previous post: How I make my own hot air blocking panel for intake air filter.